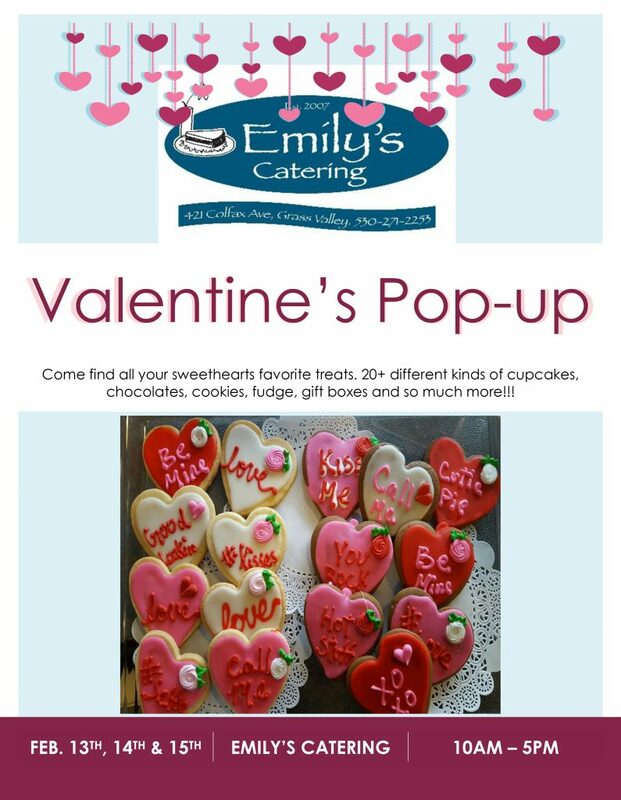 Emily’s Catering is excited to host another Valentines Pop Up Bakery! Open February 13th, 14th, 15th from 10am-5pm. Find all your sweethearts favorite treats! 20+ kinds of cupcakes, chocolates, cookies, fudge, gift boxes and so much more!! !